Get your head around rental yield with our no-nonsense guide. If you're thinking about becoming a landlord with a buy-to-let property, it's important to understand what rental yield means. This handy guide will explain what rental yield is, how you can calculate it, what constitutes a good rental yield - and how you can drive it up as far as possible. Rental yield is a measure of the return on a property investment. There are many factors that can affect rental yield, including property prices and regional disparities, capital appreciation, interest rates, demand growth and a fluctuating housing market. As a benchmark, a rental yield of 7% or more is considered 'very good'. You can calculate gross rental yield by dividing a year's total rent by the purchase price of the property and multiplying by 100. (18,000 / 400,000) x 100 = 4.5 or 4.5%. However, while gross rental yield might be an easy calculation, it doesn't take into account any costs, such as mortgage repayments, insurance or upkeep of the property - and these need to be considered to judge whether letting the buy-to-let property is providing a good return. Net rental yield is calculated by taking the annual rental income minus costs associated with owning the buy-to-let property and then dividing by the purchase price. This is a better measure to use if, like thousands of other landlords, you have an outstanding mortgage and make regular monthly repayments. For example, if you bought a £190,000 property with a £140,000 buy-to-let mortgage at a fixed interest rate of 3.44%, repayments will be £401.33 monthly or £4,816 annually. If you set the monthly rent at £800, the annual rent collected will be £9,600. Typical annual costs for insurance (£360), essential repairs (£900) and void periods (£800) add up to £2,060. This means the net rental income will be £2,724 (£9,600 - (£4,816 + £2,060)), with the net rental yield being (2,724 / 190,000) x 100 = 1.43 or 1.43%. This example also demonstrates how the true returns of buy-to-let are whittled away when you take into account the overall costs. Rental yields vary depending on factors such as the current mortgage interest rates, taxes and reliefs available, and fluctuations in the property market. But there are steps you can take to maximise your rental yield. If the rent you have set is lower than the market rate, you may be able to increase it. However, you will need to ensure that this is permitted within the Assured Shorthold Tenancy Agreement. You should also not underestimate the worth of reliable long-term tenants who take care of your buy-to-let property. The loss of income incurred by just one vacant month could take two years to recoup through a rent rise. It sounds like a contradiction in terms, but if the rent is too high versus the property or the area, lowering the rent can ensure you don't miss out on rental income due to void periods. 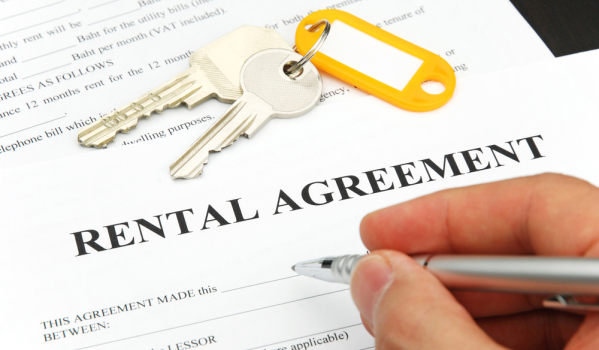 You pay tax on rental income but you can offset several unavoidable costs against your bill. These include buildings and contents insurance, council tax and utility bills (if you pay them on behalf of the tenant) and essential maintenance. However, since April 2017, a new buy-to-let tax system has been gradually phased in. It means that from April 2020, you will not be able to deduct your mortgage interest payments from your rental income when calculating what tax you owe. Instead, all of your rental income will be taxed, and you'll qualify for a 20% tax credit for your mortgage interest. In the meantime, from April 2019, you can offset 25% of your mortgage interest payments against rental income, with 75% of the payments qualifying for a 20% tax credit. Expectations among the kind of tenants you want are higher than ever, so follow suit by putting in a decent kitchen and bathroom. You'll also be able to charge more rent. There are millions of pet owners in Britain, but only certain rental homes permit them. If you establish your buy-to-let property as pet friendly, tenants may be willing to pay more. This can mean anything from remortgaging to a better deal and sourcing cheaper plumbers or electricians. My property is making a loss – what can I do? While thorough research should help ensure your property investment is a success, like any investment there are risks. If your buy-to-let property is vacant for any period, then it will quickly wipe out any potential gains. If you find yourself unable to fund the mortgage, call your lender immediately, as it may be able to offer a solution such as a temporary payment holiday or to extend the term of the mortgage, thus reducing monthly payments. If you are forced to sell and the price of your buy-to-let property is now less than your outstanding mortgage, you will be in a state of negative equity. Read more about this in our guide. Remember, you will still need to give contractual notice to your tenant. Debt charities such as StepChange will offer free and impartial advice. Is it still worth investing in buy-to-let?